I have kept a prayer journal of sorts for over a decade now. 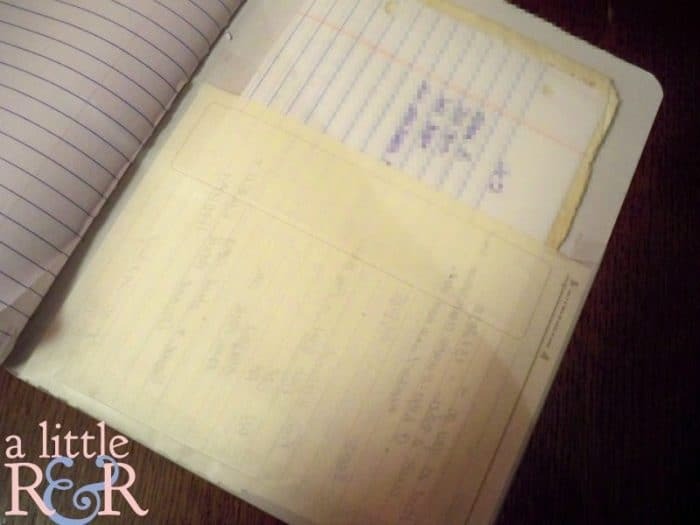 For a while I kept my prayer journal in my Homemaking Binder. 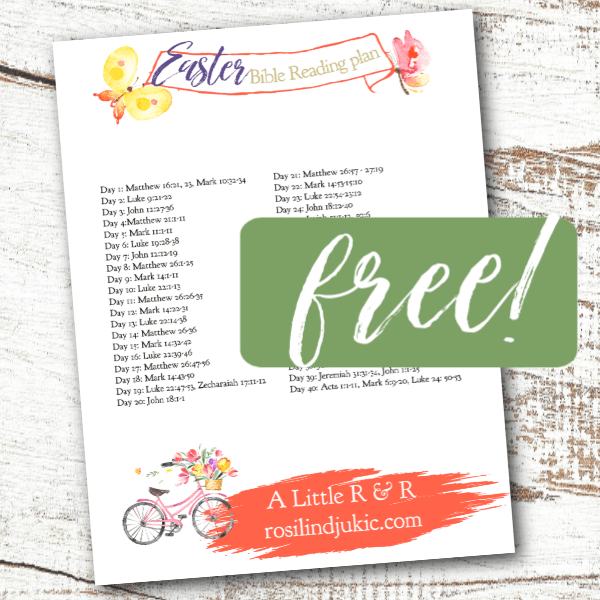 It wasn’t very easy to keep because my homemaking binder was bulky and awkward to write in, and I had to flip past charts, schedules and recipes to get to it…which distracted me. No, it need to be in a simple place and easily accessible without distractions. 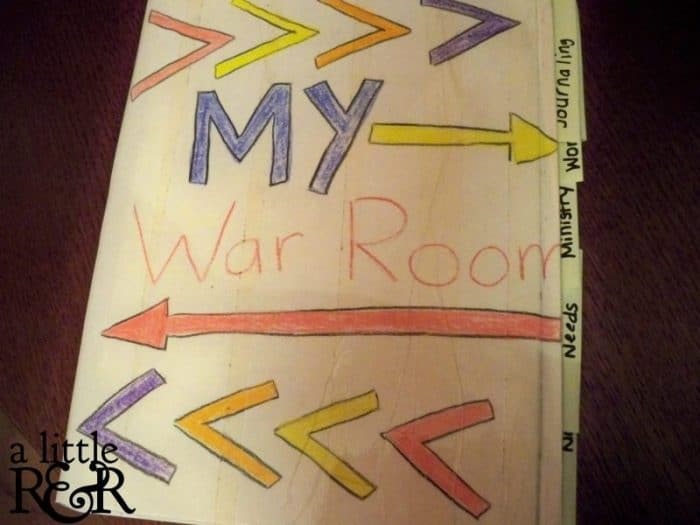 I have found a simple notebook to be the easiest way to keep a prayer journal. 1. Worship – I like to write out the names of God and reflect on them. This takes my worship time from, “Lord I worship you, I glorify you, I honor you” to “Lord You are _______”. See what I’ve done there? I’ve switched it from “I” to “You”. Worship is about Him, not about what we do for Him. 2. Ministry – Here is where I write out ministry needs. Perhaps its just the names of those I serve with in my area of ministry. I also list here 5 people who I pray will become saved. 3. Family Needs – I separate my family needs from others needs. I have learned that I need to make prayer for my family a priority, so these needs always come first. I like to try to date these prayer needs so I can track the answer to prayer better. 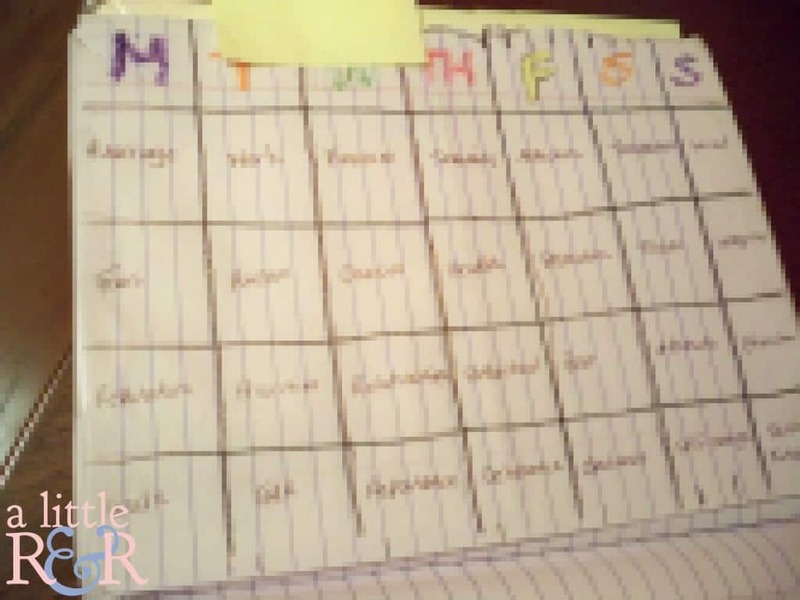 In this section I also have a 30-day calendar of prayer prompts for my husband and marriage. 4. Others Needs – I love having this section because, let’s fact it, how many times have we said, “I’ll keep you in prayer for that” and then never do? Now it’s easy. I just grab my journal and jot it down! 5. 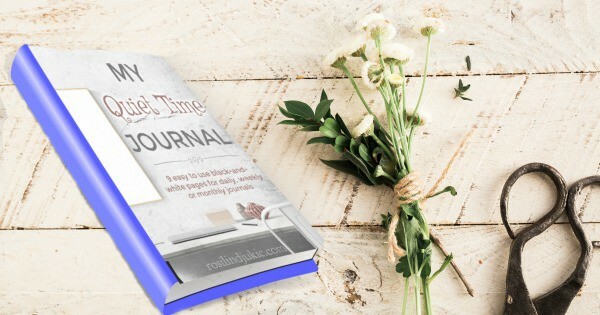 Journaling Pages – This section is so important. Here I write out my personal struggles, my strategy to overcome those struggles, words God has spoken to me, verses that have stood out to me…this is where my journal gets real. And it is important to have this section because it reminds me that prayer isn’t all about me sharing my heart with God. Prayer is a 2-way conversation and I must give God time for Him to share His heart with me. 6. Answered Prayer – I started this several years ago when I became aware of how often God was answering my prayers. I began to track those answered prayers. This section has been such an encouragement to me in those times when I feel discouraged. I can flip back and read all the answers to prayer and let faith fill my heart again. I also added pockets to the front and back to hold memory verse cards and other papers. This is a simple method, but it works for me and it has kept me consistent for many years now. I will often grab it in the morning and pace my living room as I pray, because having the lists right there in front of me helps keep me from becoming distracted. 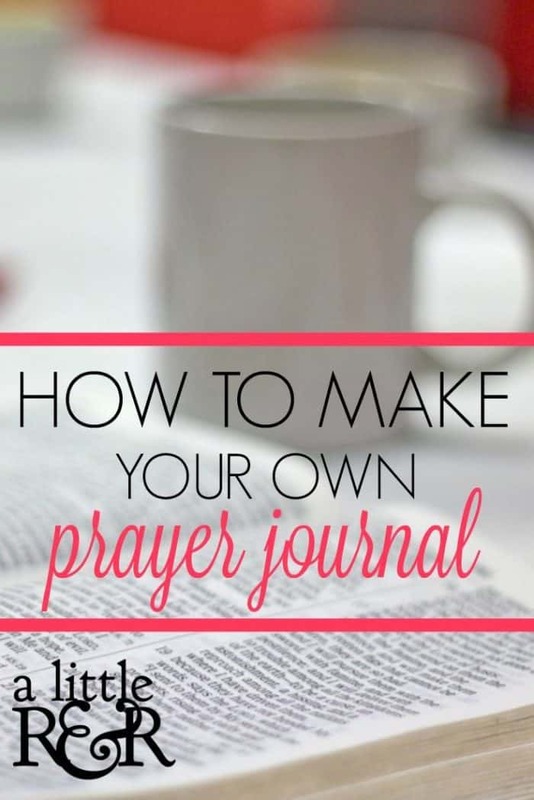 What is your favorite prayer journal method? Yes, I have done the same thing from time to time. Added and added to it, and then realized that what I added just didn’t fit for me. At the end of the day, if its too complicated we’ll avoid using it. Love that! I have the 6month prayer journal, and I just started a prayer/sin and shortfall, and then praise section. Great idea to list 5 people to save, and I love the verse card holders. Many many times Scripture and songs pop in my head during my quiet meetings with Jesus, thank you for the suggestions! THANK YOU, IT IS ALWAY AN ENCOURAGMENT TO ME. I love the sections you have. Especially one for songs. What a great idea! Thank you for this article! Especially changing the “I” to more of “You”. It feels so repetitive when I say it. Looking forward to the way I switch my worship and prayer life. Yes, and I think it really shifts our focus upward. My prayer journal is even simpler than that. I buy college ruled composition books when they go on sale after school starts. One year I found a bunch of clear vinyl covers for them. They have a zippered pocket on the front that holds a devotional magazine, a Bible reading plan, some paper clips and a pen and pencil. I print off a calendar, and it slips into the back side of the cover and shows through on the back. I don’t have any lists, I use it as a literal journal. I write my prayers out word for word. I’ll sometimes have a song running through my head when I wake up in the morning, so I go and look up the words, and print them out, and glue it to one of the pages. I sing along with it, and that’s part of my praise for that day. At the end of the year, I go through and read each entry and see where the Lord’s brought me and others. I absolutely love this!! Simple is best! i have just a binder, with tabs. love it it works for me. I use paperclips so i know where i’m add for like subject to pray for my church. I love the idea of paperclips! Roz, on your Marriage calender, what sort of labels did you put on the dates? Also, concerning Ministry…if I don’t have one, could listing conversations and prayers for our renters be the same? Yes, you could definitely use prayer for your renters as ministry. My husband & I (both , 70) are retired and have time to pray. For some reason, a prayer journal as such was not working for us. While the system that WE THINK will work for us will take some time to set up, hopefully will redeem itself in the long run! We are going to use 4×6 index cards. We have selected the topics to pray for each of the 7 days of the week. Example, Friday is the world…which, I’m ashamed to say, has been left off other methods we’ve used. We will place 4 country names on each card behind the Friday divider. We will also include some verses and other suggested things for which to pray for each country. We will, as time permits, search for what is going on in the countries we are praying for. Other topics will be less work. As we pray for our kids and grandchildren, we will pray verses suggested by many wonderful posts. No one method is best for everyone. We’re at various stages of life. We couldn’t have done this when my husband was working (he traveled alot) and the kids were young. We’ll give this a shot & if it doesn’t work. there’s always Plan B! I love your idea. That’s such a great idea!! And you’re right, no one method works for everyone. It’s not the method that’s important, it’s the discipline of effectual prayer.